The Waterfront: Bayview members in International Exhibitions! Bayview members in International Exhibitions! A HUGE congratulations to Our president Shirley Scoble, who has just been accepted into her first International Juried Exhibition. Way to go Shirley! 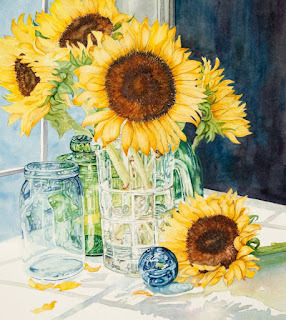 Her painting 'Golden Sunshine' has been selected for the 2012 Pennsylvania Watercolor Society’s 33rd International Juried Exhibition. But BWS has not one but two of our members in this prestigious exhibition! I am very happy to let you all know that my painting 'Spinning a Tale' has also been selected for the 2012 Pennsylvania Watercolor Society’s 33rd International Juried Exhibition. This makes three years in a row that I have been accepted into this exhibition. WOW! Thank you to Paul Jackson who was the juror for selection. 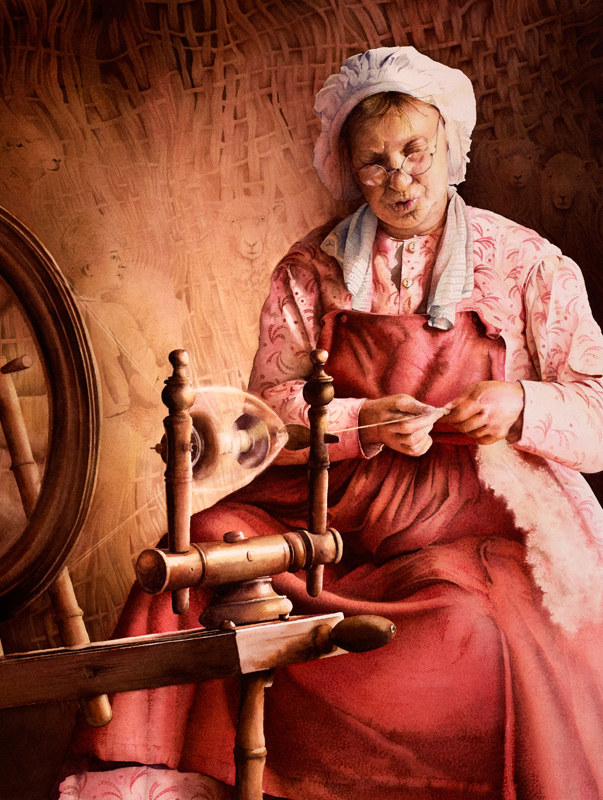 The exhibition will be held at the State Museum of Pennsylvania, Harrisburg, PA and will run from November 4, 2012 - February 3, 2013. 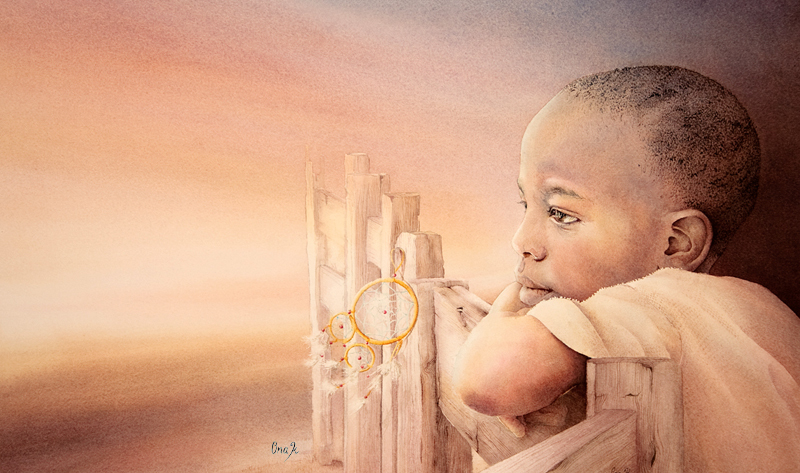 I'm also delighted to let you all know that another of my paintings 'Dream Catcher' has been accepted into the 44th Annual Watercolor West Juried Exhibition and has just been shipped today. 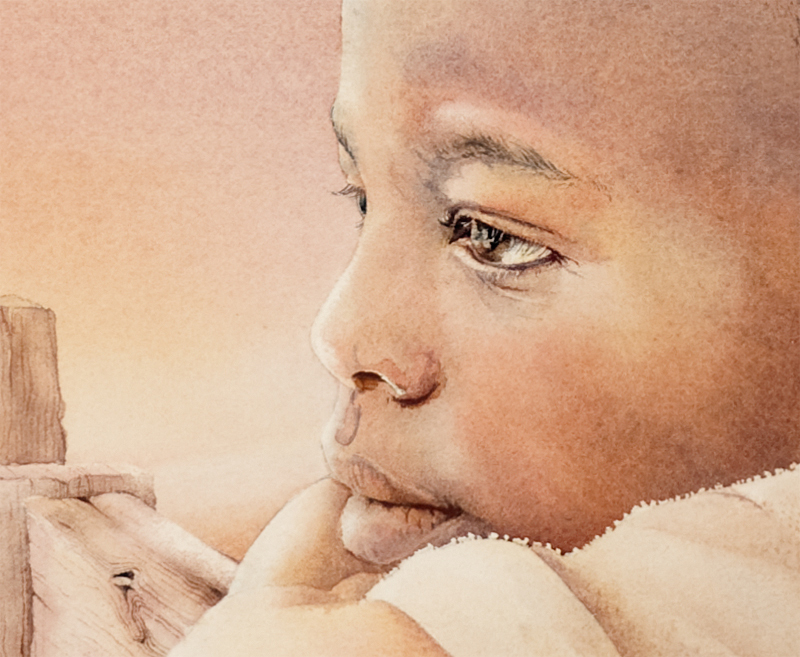 To me this child I painted represents each and every one of us. We all have dreams but how many of us just stand on the safe side of the fence and do not venture into the unknown and follow our dreams. I am so proud of you Shirley for following your dream! So Bayview members and our readers around the province of Ontario and the world....Its good to dream. Don't be afraid of failure. Catch those dreams and follow them. Yes, sometimes its a risky journey into the unknown but its also an exciting one. I am enjoying following my dream and I know Shirley is too. Are you following yours? Congratulations Shirley and Ona. What an honor for BWS! Book your workshop now to avoid disappointment!